At Jack's 4 month visit, our pediatrician told us that Jack could start solids. After doing some research and wanting to go more toward the baby-led feeding approach, we waited until he was almost 6 months old. We did this because at 6 months of age, most babies are developmentally ready to self-feed. We skipped purees mainly because Jack was not interested in purees from early on and he always wanted to feed himself. 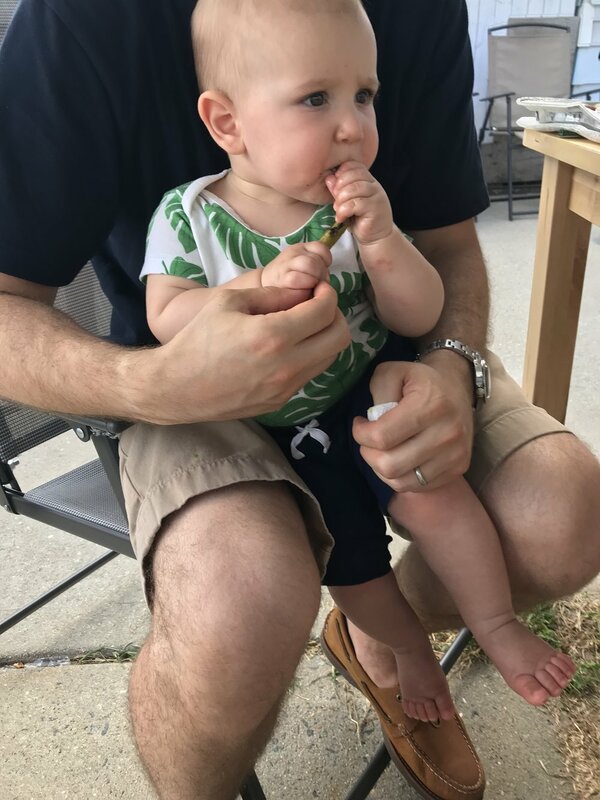 I was on the fence about baby-led feeding, mainly due to fear of choking, but after a lot of self-education which included taking a baby CPR class, feeding littles online course, and reading Baby-Led Feeding, I felt empowered to go this route. I also saw how well Jack was doing and that he was learning to eat with confidence, developing fine motor skills, and getting pleasure in food. It is truly amazing seeing the ability that a baby has to eat. They are also powerful chewers, assuming the texture is correct - mashable on the roof of your mouth or between your two fingers. A large amount of chewing takes place in the back of the mouth, so the appearance of teeth should not make much of a difference in terms of whether you choose baby led feeding or not. A vast amount of questions I get regarding this feeding approach is about choking. It was my main concern, but it is important to note that gagging is part of the learning process, even though it can be a little scary at times. Consequently, it is essential to be educated and learn the difference between gagging and choking. Gagging is often accompanied with teary eyes, coughing, and noise. Choking is silent and may be accompanied by staring with an open mouth and waving hands. Therefore, it is key to only offer appropriate foods that are the correct shape and texture. I know that every child is different, and you have to do what is right for your baby, you, and your lifestyle. Consult your pediatrician to help assess if your child is ready. 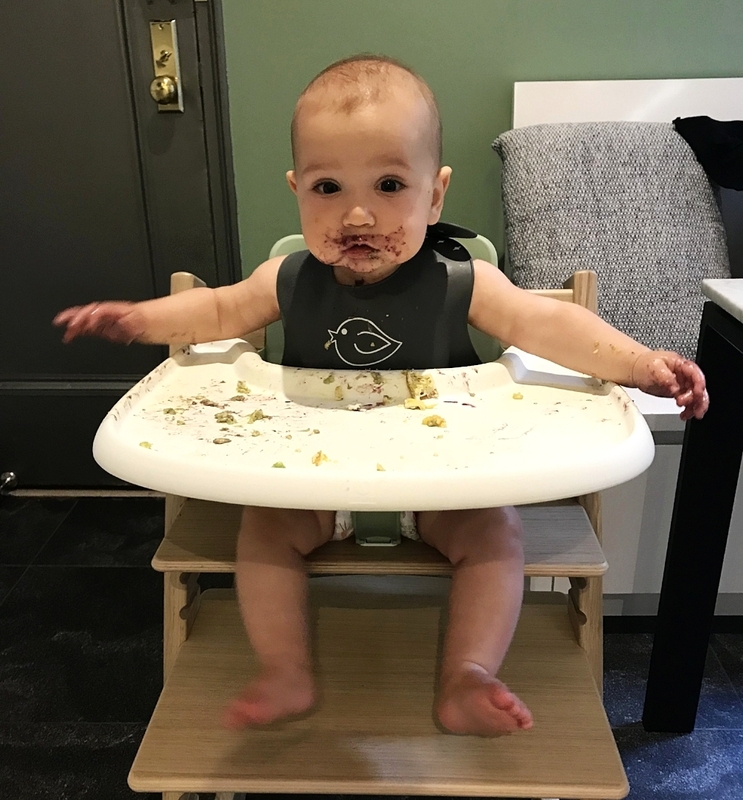 Some signs that baby is ready for solids is that they are showing interest in what you are eating, and baby can sit up and support themselves independently and have good head and neck control. When starting to introduce solids, you want to be sure that your baby is not too hungry or too tired. This can be a little complicated with scheduling in the early days but, ideally you want to feed baby solids an hour after a milk feed. At six months of age, babies do not have a pincer grasp, which means they are unable to pick up small pieces of food. They are developing the palmer grasp, which is being able to reposition food in their hands and open it. Initially, when selecting foods for baby led feeding, you want to offer foods that are in strips (length of your pinky) and can be grasped in the palm of baby's hand and can be mashed easily on the roof of your/baby's mouth. *Every baby develops differently. Go at your baby's pace and, if you have any questions/concerns, consult your pediatrician. Roasted sweet potato fries, raspberries, green pancake with peanut butter. 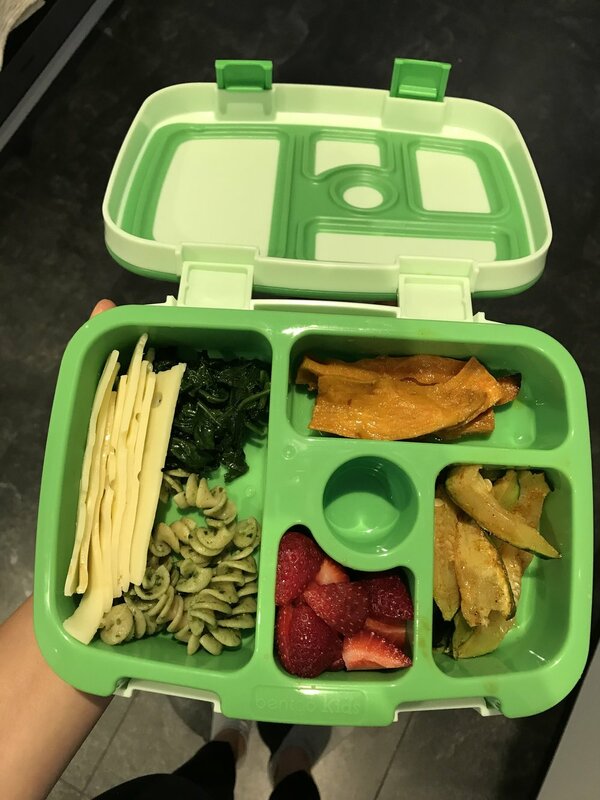 Organic Swiss cheese, sautéd spinach, kamut spirals with pesto, roasted zucchini, roasted sweet potatoes, and strawberries. length and width of adult pinky. texture that can be easily mashed between your fingers. Once baby is 8 months and their skills are more developed, you can advance to smaller cuts of food (square shaped) which assists with their fine motor skills. A major benefit of this approach is that, in theory, you and baby can be eating the same foods. We started Jack on three meals a day around 6 months to help with his naps - which it did! Here is a his daily schedule for your reference. Recently I had to start integrating formula into Jack's milk feeds. My body has started to slow down on milk production, and I needed to make sure Jack was getting everything that he needed. Integrating formula came with a lot of mixed emotions, but ultimately we opted for Holle Formula, an organic formula from Germany. Jack enjoying some corn on the cob for the first time. My approach to feeding Jack is offering him real whole foods - avoiding anything that is in a package or that is processed. We eat very "simply" and so far that has been our feeding philosophy with Jack. Feeding a baby and adults is hard enough, so we try and keep it as simple and streamlined as possible. Sure you can get fancy with quinoa cakes and lentil loafs and I have tried those, but Jack has been most receptive to keeping it simple and whole. We shall see how that evolves once he is older. Here are the typical offerings that Jack has on a weekly basis. These items are very easy to prep, keep well in the fridge, we enjoy eating them, and so far are well received. We try to roast the vegetables with different spices so Jack can get a sense for various flavors. Cumin, garlic powder, oregano, turmeric, coriander, paprika are our "go-to's". To make things easier, we meal prep the veggies and protein on Sunday and buy lots of fruit, cheese, and eggs at the beginning of the week. We try to make quick meals off one or two shopping trips. Avoid salting foods, use other spices. Avoid honey until 1 year of age due to risk of botulism. The AAP recommends that early introduction of highly allergic foods may prevent food allergies in infants and that delayed introduction may increase the risk of a food allergy. At almost 10 months of age, we have tested all of the primarily allergens. Always consult with your pediatrician before integrating an allergenic food, especially if there is a family history or allergic risk. Introduction of an allergenic food should be when baby will be awake for a few hours. The particular food should be offered 2 to 3 times and at different times than other allergenic foods. If the baby shows signs of hives, rash, vomiting, swelling, or trouble breathing, call your pediatrician immediately. I am not sure how the bambas craze erupted as a way to introduce peanuts to babies (our ped actually recommended it too). I would much prefer giving baby a tiny taste of actual salt and sugar free nut butter on a spoon, finger, with oatmeal, or on a banana than through a processed food with palm oil. I made an organic edamame puree and allowed Jack to spoon feed himself. You can also do organic tofu strips/cubes. 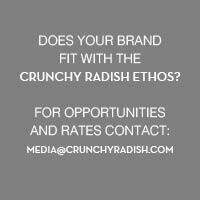 I would love to hear about your feeding journey with your little person. Please continue the conversation below in the comments and I will continue answering and sharing our journey. Jack enjoying spaghetti with kale pesto, kiwi, and roasted zucchini.